A project for New England Communities combining river science with institutional insights for resilient river management. We researched groups and programs that are successfully helping communities to become river-smart. We profiled three of these, and used our learning to inform policy recommendations. Funded by University of Massachusetts Center for Agriculture, Food and the Environment. What is the role of farms in floodplains? What resources help farmers before and after floods? The goal of this project was to promote knowledge about the role of farms in the flood plain, natural fluvial and geomorphological processes, and apply that knowledge to a whole watershed to promote coordinated watershed management. This project aimed to improve federal and state programs so they can more successfully help New England communities become river-smart. 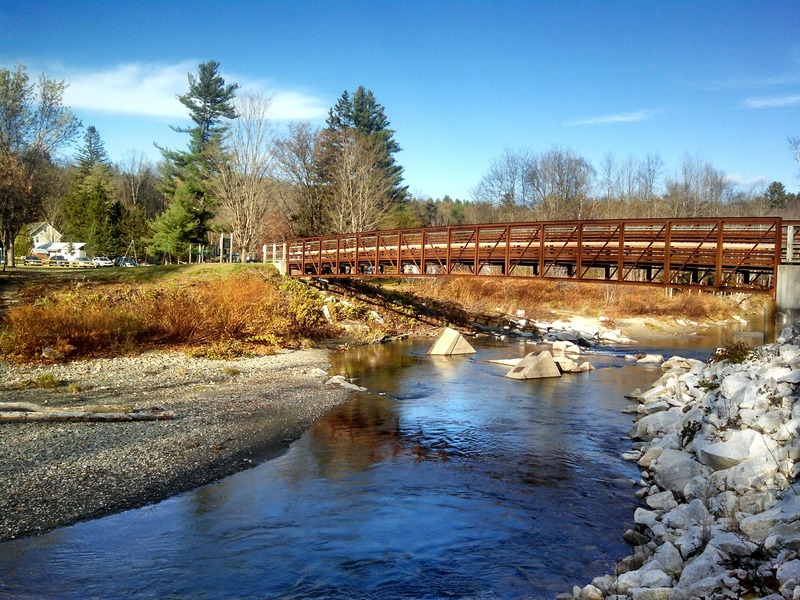 Our major product is a policy recommendation report, Supporting New England Communities to Become River-Smart: Policies and programs that can help New England towns thrive despite river floods, published in 2016.